Botox® | Donald Altman M.D. *Not an actual patient of Dr. Altman. 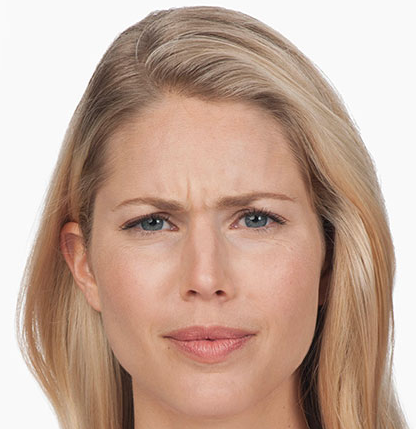 Botox Cosmetic (onabotulinumtoxinA), a prescription medicine, is a purified protein that temporarily improves the look of moderate-to-severe frown lines between the brows in adults younger than 65 years of age. Botox Cosmetic is a simple, nonsurgical treatment that is injected directly into the muscles between the brows. It works by blocking nerve impulses to the injected muscles. This reduces muscle activity that causes persistent lines to form between the brows. Introduced in 2002, Botox Cosmetic is the first botulinum toxin to be approved by the FDA for stubborn frown lines between the brows and has been the most popular of all physician-administered non-surgical aesthetic procedures for eight years running. Approximately 11.8 million Botox Cosmetic procedures have been administered in the United States since 2002. Click here to learn more about Botox.